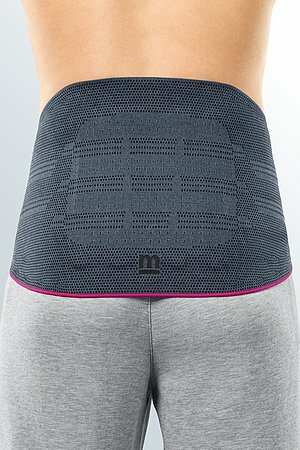 The Lumbamed disc is a lumbar support with adjustable stabilisation system. 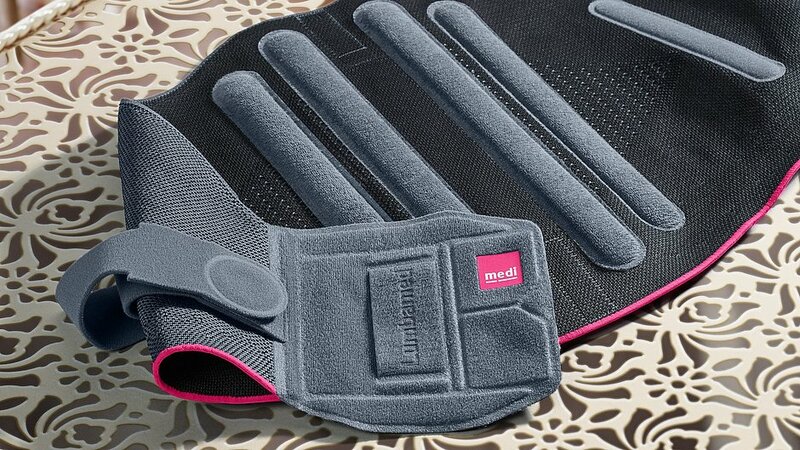 The product is exclusively to be used for the orthotic fitting of the lower back and only on intact skin. 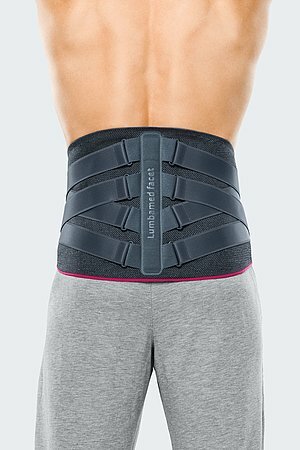 Lumbamed disc stabilises the lower thoracic and lumbar spine area as well as the transition to the pelvis without impairing the muscular power, using a combination of compressing knitted fabric, internal back rods and an external strap supporting system. The statics of the spine are improved and the spinal segments concerned are relieved, which reduces pain. Variable supporting elements make a quick mobilisation possible. 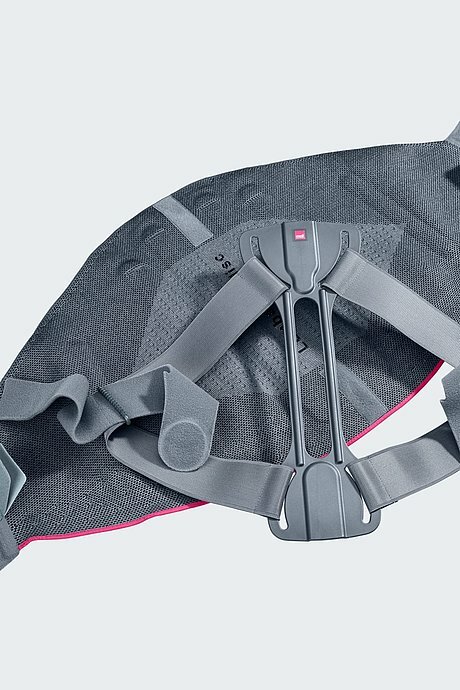 The stability of the brace can be adjusted to the process of recovery by removing the strap supporting system. 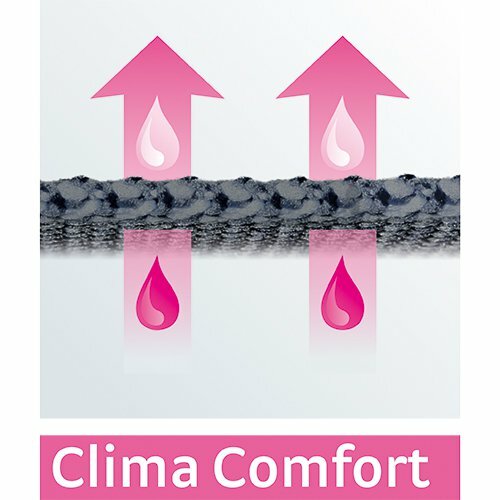 Moreover, the internal back rods can be replaced by more flexible rods (available as an option). This activates the trunk musculature step by step. Your attending physician will specify the corresponding steps of therapy. 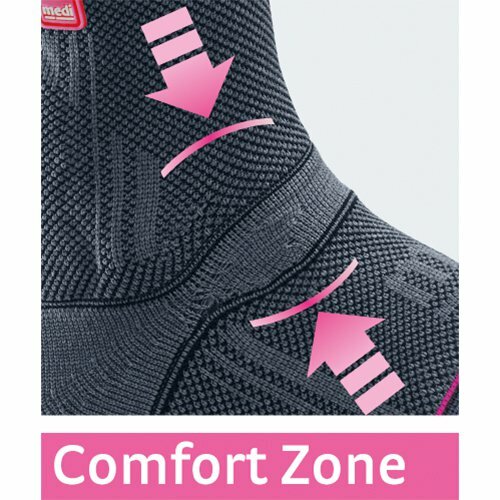 The orientation of the label on the righthand inner fastener has information on how to put on the brace. Wrap the brace around your body and check once again on the label that you are holding the brace the right way. length may be adjusted by cutting it at the edge of the Y fastener. 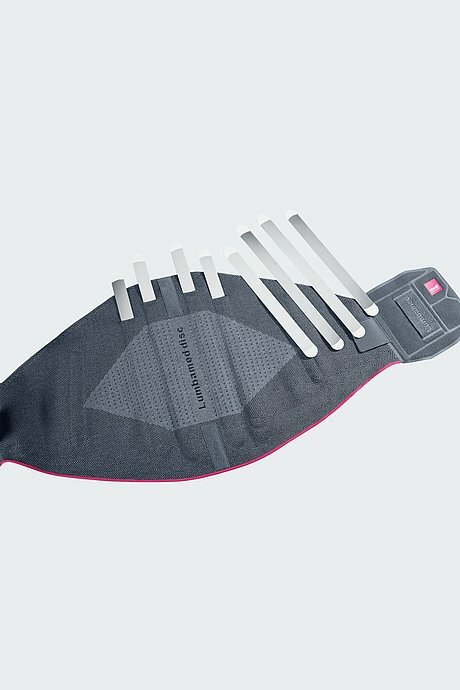 Before washing, please remove the internal rods as well as the strap supporting system by detaching it from the Y connecting piece. During replacement make sure that the medi logo on the back stays is at the top. Hook and loop fastener tabs must be closed for washing. 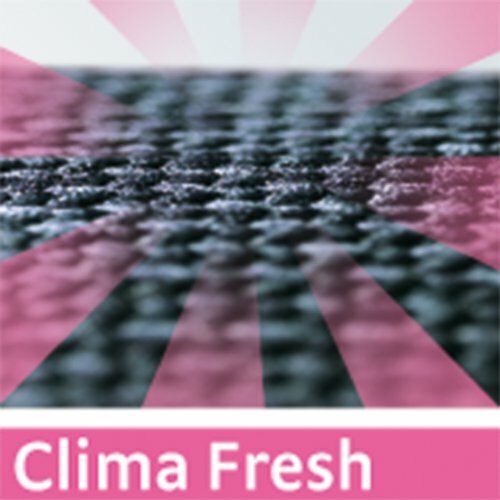 Fabric softener, fats, oils and ointments can attack the material and the Clima Comfort Effect can be impaired. Soap residues can cause skin irritation and material damage. 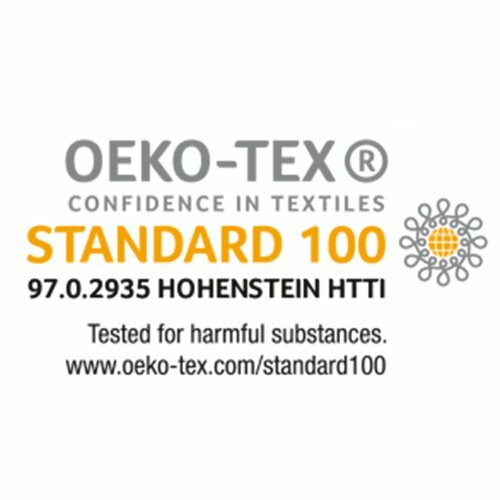 You can wash the product by hand, preferably using a medi clean detergent, or in delicate cycle at 30°C using a mild detergent without fabric conditioners. 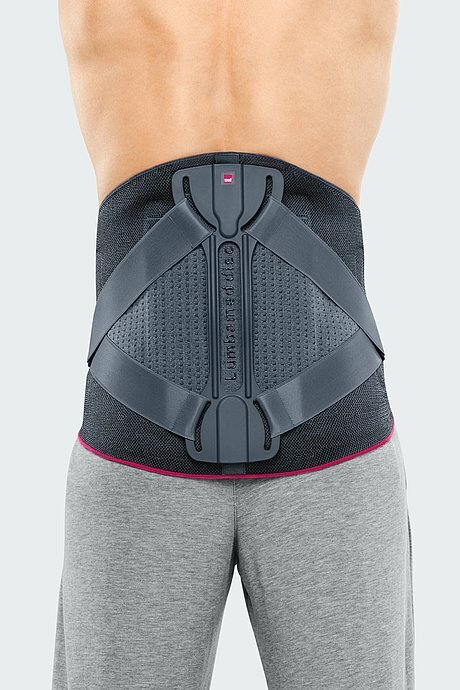 How to use our Lumbamed disc lumbar spine orthoses for mobilisation. Date of issue: until November 2017. 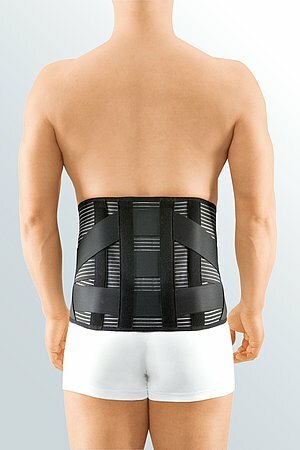 How to use our Lumbamed disc lumbar supports for mobilisation. Date of issue: until August 2018. 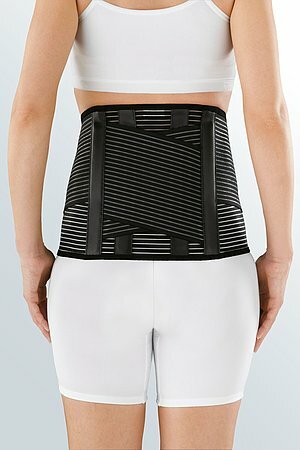 How to use our Lumbamed disc lumbar orthoses. Date of issue: from August 2018.